There are lots of different ferret clubs and rescue networks around the Midwest, Heart Land and South of the United States. These groups have many resources and hold events, like rescue, adoption, education, meetings and/or events. 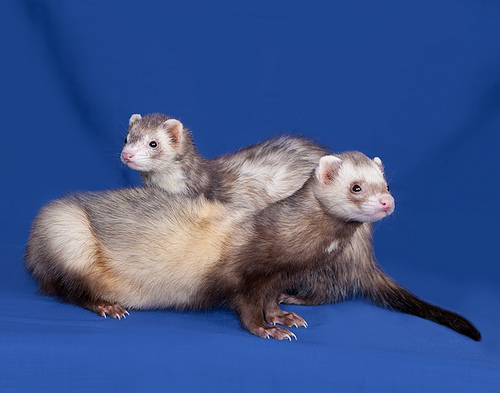 Ferret Friends Fellowship is based out of Evanston, Illinois, and is an association of ferret owners and lovers who combine their forces to share stories and advice. They care to raise awareness of ferrets, encourage people to own ferrets and network people who love ferrets. Their members hold human-only meetings, as well as occasional human and ferret play dates. They also sell some silly ferret products, and have a list of ferret vets around the Midwest. MFRAN has been around over 10 years, and is a network of people who rescue ferrets, care for them and put them in new, loving homes. They also occasionally host events. Their website even lists food recipes for ferrets. Based in Michigan, the Midwest Ferret Fellowship hold several ferret events throughout the year, such as Ferret Fellowship Fairs, as well as other reoccurring ferret days throughout the state. They also know of some other Midwest ferret rescues. The HOFA is based around Columbus, Ohio, and puts on general meetings, along with events, like the Ferret Buckeye Bash. They support education on ferrets and fundraising, as well as maintain a rescue shelter. Their website lists contact information for several breeders. 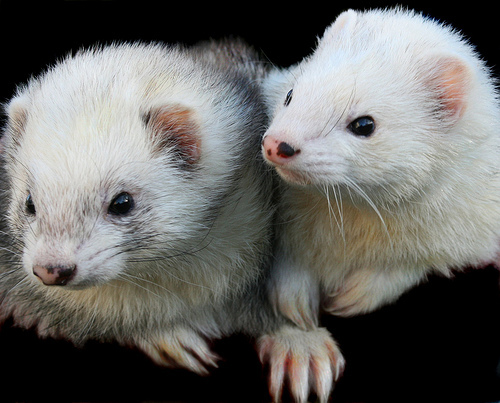 The Ferret Lovers’ Club of Texas is an association for local ownership, health care and educational resources of these pets. The Lovers also support ferret shelters, and know of veterinarians around the state. This club is also involved with some ferret events throughout the year, like the International Ferret Congress. SAFE is a Texas volunteer network that is devoted to education of these pets, and providing resources to their owners. Some services that their members provide include rescue/adoption, products, education, veterinary referrals, rehabilitation, sitting and emergency first aid care. They also hold general meetings and board meetings throughout the year. The Houston Area Ferret Association is a volunteer organization that supports education, welfare and enrichment issues for ferrets and ferret owners. They are involved in a number of local events, such as lectures and meet-ups.